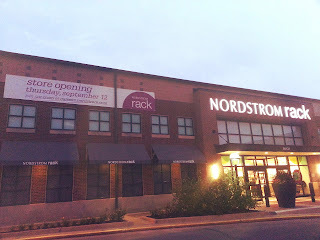 Get ready Westsiders - Nordstrom Rack is crossing the Cuyahoga! With the new opening of Nordstrom Rack in Westlake on Thursday 9/12, the Westsiders no longer have to make the trek east to get their fix. The Eastside vs Westside debate is always so much fun and now there is one less thing to argue about. 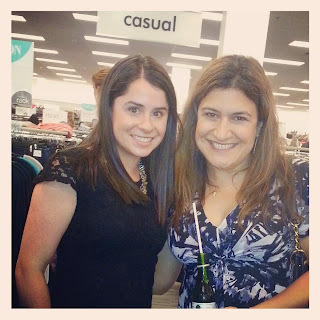 But make the trek west is exactly what this Eastsider did for a sneak peak at the new store. Even with a wedding in 17 days, it was worth the trip. The store was loaded with lots of great deals. I was drooling over purple Marc by Marc Jacobs and Kate Spade bags that I was able to resist only because it's totally NOT in the wedding budget if you know what I mean! 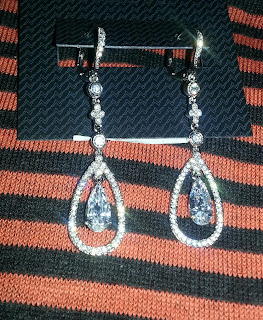 I DID manage to score some items that were actually on my wedding shopping list: earrings (my 4th pair, but who's counting??) and socks for the groom and groomsman. Cue happy dance. 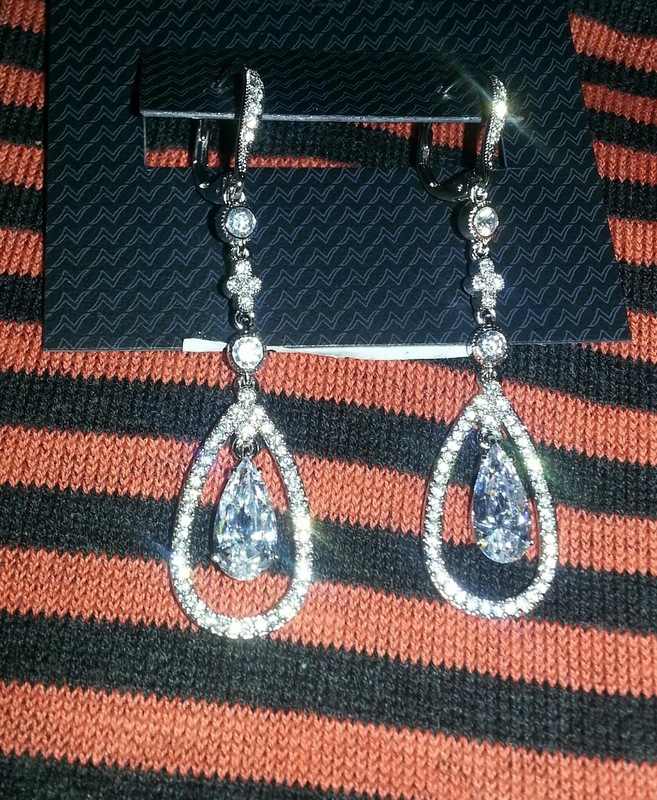 Add in a grey and black dress that will be the perfect piece to transition from fall into winter, a funky statement necklace and some beauty products and it was quite the successful trip. ...all while drinking champagne and eating delicious nibbles. 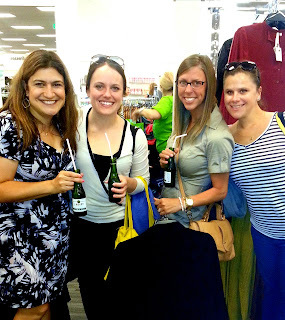 The Nordstrom Rack folks were the perfect hosts and hostesses. The grand opening is this Thursday at the Promenade and the fun begins at 8am. There's 34,000 square feet of deals, giveaways, contests and more. They even are serving breakfast. What are you waiting for? Come early to celebrate! At 8 a.m. we will kick things off with music, breakfast treats and more. Customers can enter for a chance to win one of (30) $100 gift cards – plus, one lucky winner will receive a $1,000 shopping spree and early access through our Rule the Rack sweepstakes. Customers can enter a drawing to win a $1,000 shopping spree, plus exclusive entry 30 minutes before the store opens at 9 a.m. The winner’s name is drawn and announced at 8:25 a.m. (Must be present to win). 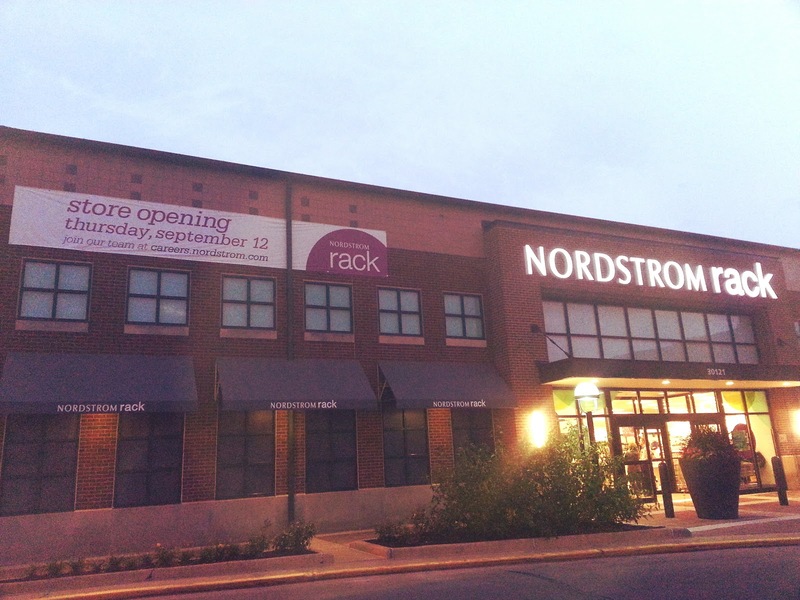 The first 1,000 customers who make a purchase at the new Nordstrom Rack Crocker Park will receive a complimentary Nordstrom Rack tote as a gift. 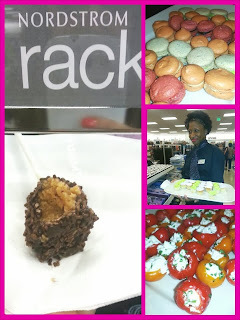 Keep up with Nordstrom Rack on Facebook, Pinterest and Twitter.